I am so taken with this image of New York. And so lucky to have snapped it. It was a fleeting moment in April. We were walking down Hudson St. on our way to a free screening by the Tribeca Film Festival of Muppets Take Manhattan (of all movies) at the World Financial Center and I caught this amazing glimpse of something worth saving forever. I know, I know, I snap a lot of photos and my husband more than me. That’s why we each have our own cameras but this one speaks to me in untold ways. 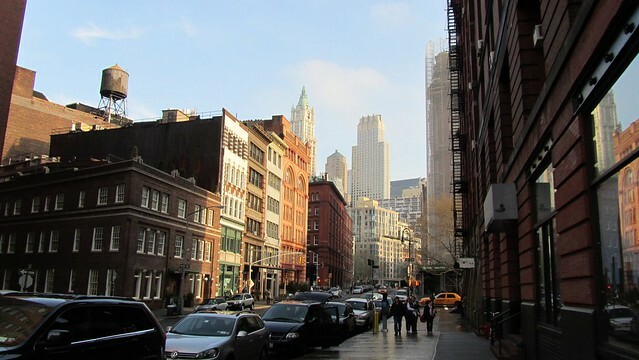 This entry was posted in everything i've blogged, locations and tagged manhattan, pretty, Tribeca Film Festival, walking, World Financial Center. Bookmark the permalink.